March 3: What's Jen Clicking on Between Casts? I remember when Conan O'Brien took over NBC's late night slot from David Letterman years ago (has it really been sixteen years?) I thought, wow, this is really bad. But I was rooting for him! I felt the same thing when I was watching another SNL alum (O'Brien was a writer for the show for three years) take the stage last night. "If there was one impression Fallon's first show left (besides jitters), it's determination. Although Fallon worshipped David Letterman—as is now obligatory for white male late-night hosts—I'm not sure he's best utilized in an arch, hyperironic Letterman-style show. 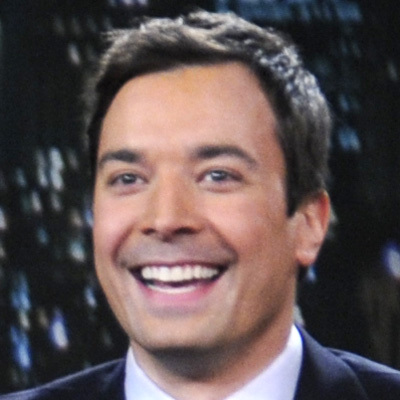 What Fallon exudes most as a host is earnestness. He has this emo, Ted Mosby-like quality to him. He's really into you, America; he thinks you're awesome, he wants you to like him, and he isn't embarrassed about showing it. "Thank you for having me in your homes," he enthused, "I'm honored to be here." That's not necessarily bad; it's just that, like anyone going courting, he will have to walk the line between romance and neediness. " I have been clicking around on reviews of the debut show this morning and the concensus is pretty much the same. Some of the headlines read: "Jimmy Fallon has a rocky "Late Night" debut," from the Chicago Tribune, and "Shaky start for Jimmy Fallon," in the Toronto Star, where the reporter writes, "As far as openings go, that was pretty brutal. The best thing about last night's launch of Late Night with Jimmy Fallon is that it really only can get better from here." And I think it will, based on the two highlights I took note of in last night's debut. I thought Justin Timberlake absolutely stole the show with his impressions, and when he and Fallon broke out into the "Barry Gibb Talk Show" routine, I laughed out loud. Actually I was still laughing when Timberlake started doing his Michael McDonald impression, which is so dead on and so funny. Check out the Timberlake part here. Jimmy Fallon was having fun riffing with JT, and I started to feel like I could take a breath and see down the road when he's a little more relaxed and can have fun with his guests. Not really what I was thinking while I was watching Fallon and his first guest, Robert DeNiro sitting there. That was painful. The second highlight for me was, and is, the house band. They got The Roots? On that show? Every night? I thought they were great, and drawing them into the sketches to showcase their talent as musicians and -- who knew -- comedians was a great start. Here they are, the Grammy Award winning Hip Hop band, appearing on Late Night with David Letterman a few years ago. I'll be up late again tonight watching The Tonight Show with Jay Leno, to see if I can detect any nerves looking rattled in tonight's guest, Chris' and my new best friend Rachel Maddow. Can I call her NBC4 Contributor Rachel Maddow now? 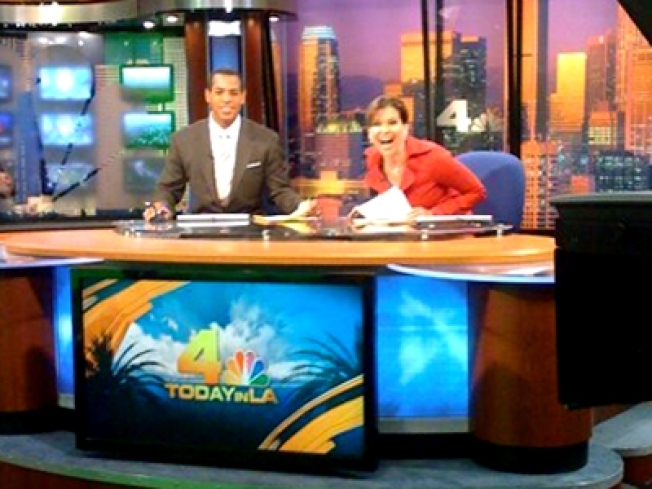 She's doing her show in Los Angeles today, as she did yesterday, after she stopped by for a visit and a guest appearance on the Channel Four News Midday Report. I was floored when she told me, as I mentioned Jay Leno during her introduction, that she was "nervous" about being on the late night show. This, from a woman named one of the top 10 political newcomers of 2008, a Rhodes Scholar and host of her own talk show. Tune in tonight at 11:30 to see if you can detect any nerves. I'll bet you can't. But if she is nervous, well then, Jimmy Fallon? You're in good company.